Ms. Millar has been an online writer for over seven years. She enjoys writing and sharing her knowledge. Today let's look at replacing the drum brake cylinder on a 1983 Buick Skylark. As always I will go into a little more specific detail for my lady friends that are looking forward to taking their car repair into their own hands. This may appear to be a difficult job, but it's as easy as changing the oil in your car. It really is. Sixty percent of the stopping power of a car is produced by the front brakes which can be either disc brakes (most often) or drum brakes. A common combination is disc brakes on the front and drum brakes on the back or disc in front and back. Either braking system set-up is run by one master cylinder that is located under the hood on the driver's side. Every time your foot presses on the brake pedal it forces fluid in the master cylinder through thin lines that weave through a vehicles framework until each line reaches its respective wheel (front right, front left, rear right, rear left, not in that exact order). On disc brakes when the fluid reaches the wheel it goes into a "caliper" that distributes the fluid to each side of the disc brake that presses the pad in onto the spinning wheel disc. Also with disc brakes, the braking pad never completely separates from the disk. There's always the slightest of a drag. 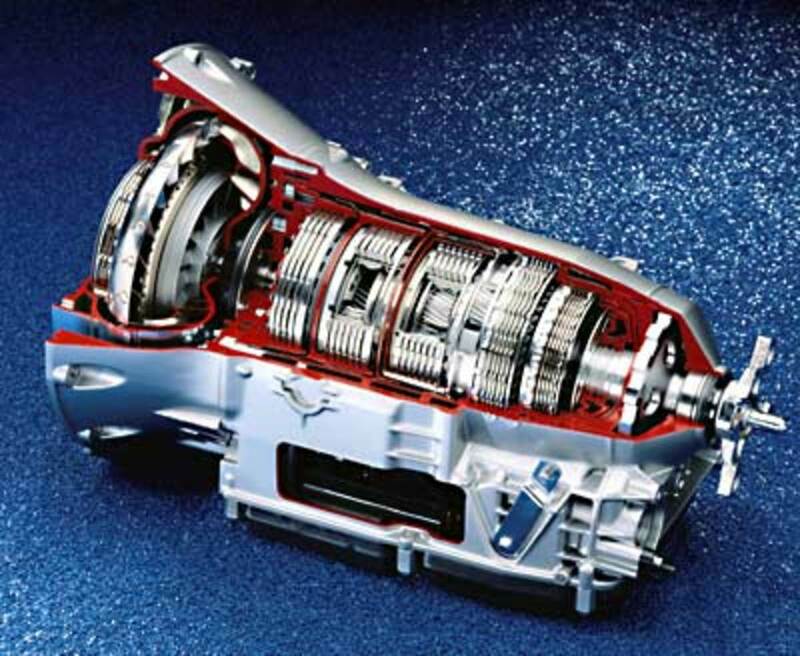 On drum brakes when the fluid reaches the wheel it goes into a cylinder which presses the brake shoe out on the wheel drum and the vehicle slows down. 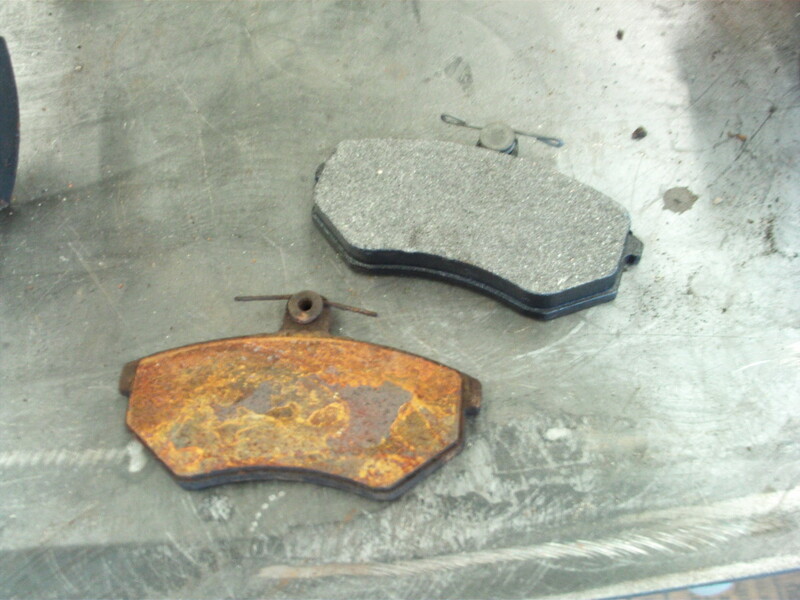 This process happens every time you step on your brakes. You can imagine the wear and tear the braking system goes through! Cylinder for the year, make and model of your car. Sometimes calling ahead will expedite the process. Cylinders are vehicle specific. The parts guy may need to order them for you. Napa and most auto parts stores will orders parts for you over the phone with a credit card. Brake cleaner. Do not use WD40 to clean any brake parts what-so-ever. WD40 is a lubricant, we want friction, not lubrication. Rag to wipe your hands, brakes are filthy. Various wrenches and sockets ranging from 8mm to 5/8ths inch. Torx head. This is like a screwdriver with a cross on the tip except the torx has a star at the end. This comes in various fashions. You will want a socket type. It will be around a half inch size. A set of socket torx is cheap and comes in handy. A torque wrench. This measures how tight a bolt or nut is. Block the front tires with a wedge. Lift the the car with the jack and set it on the jack stand. Make sure it is secure. Now remove the lug nuts the rest of the way and set somewhere safe. Set the tire aside. Remove the drum. The drum may need a couple of taps from behind with a hammer to get it loose enough to remove. We should be looking at the braking mechanism. There are a few things to remove to get the cylinder out. Remove the right side hold-down pin & spring. Remove the upper & lower spring. Remove the brake shoe adjuster. Now set the brake shoe aside. On the back-side of the cylinder is a ring holding the cylinder in place or two screws. Pull the "wings" out on the ring to remove it or unscrew the screws. loosen the top torx until they are loose enough to wedgy the cylinder out. Put the new cylinder in. The ring on the back can be a bugger to get on because its an odd position and you have squeeze hard to make the "wings" set into place. Tighten the four torx to the specified torque in your manual. Follow the removal steps backwards to complete the job. Bleed the brake system before driving. This is a process of placing a tube on the bleeder valve on the back of the cylinder (above the brake line) and have an assistant press down on the brake pedal while you open the bleeder to allow air to escape with some of the fluid. Close the bleeder valve and have your assistant release the brake. Then again, open the bleeder valve while your assistant presses down the brake pedal, and so on. Periodically check the master cylinder under the hood to be sure it is full of fluid during this process. Continue until there are no bubbles released when the pedal is depressed. A brake bleeder is available that eliminates the need for an assistant. This sounds a bit daunting for me to try on my own. Nevertheless, voting this Up and Interesting.